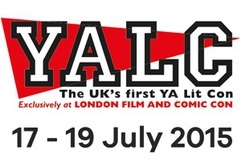 YALC is a celebration of young adult books. Staged within the London Film & Comic Con, YA fans have the chance to meet their favourite authors, listen to panel discussions and take part in workshops. Tickets are available here. Get YALC 2015 off to a spooky and spine-chilling start with this panel event. Feel the fear as our fantastic panel of authors Will Hill, Dawn Kurtagich, Lou Morgan, Darren Shan and Matt Whyman discuss the resurgence of horror and psychological thrillers, and the ongoing appeal of scary tales. As part our our ‘What is Normal?’ strand, we’ll be speaking out about mental health in books for young adults. Authors Holly Bourne, Brian Conaghan,Annabel Pitcher and Matt Whyman will be exploring the representation of mental health issues in YA today.